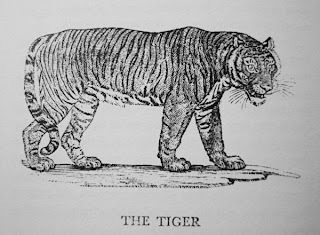 Menagerie was the word used to describe a collection of wild animals kept for exhibition before the invention of the word zoo. 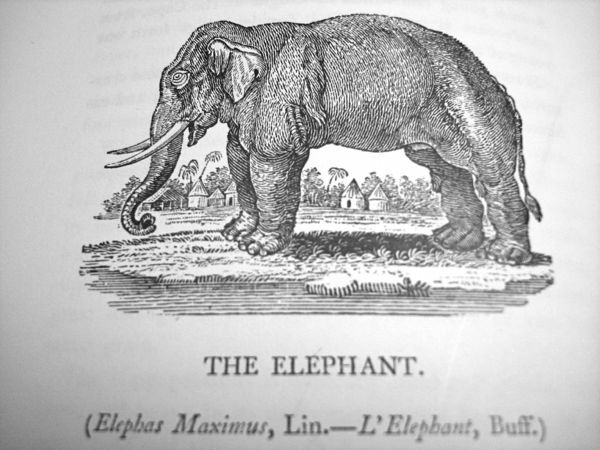 Zoo came into common parlance around the 1840s. It is a shortened form of zoological. 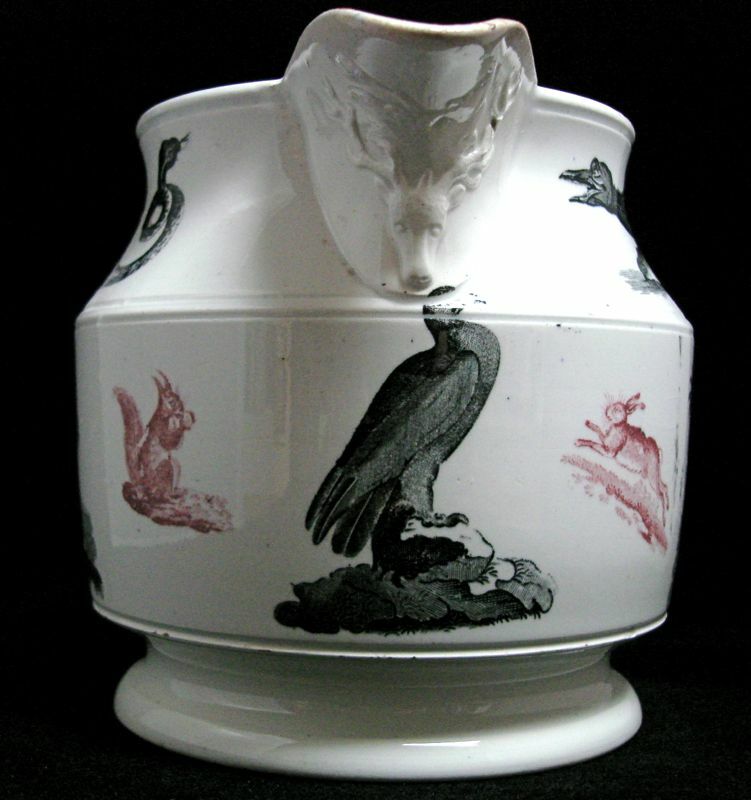 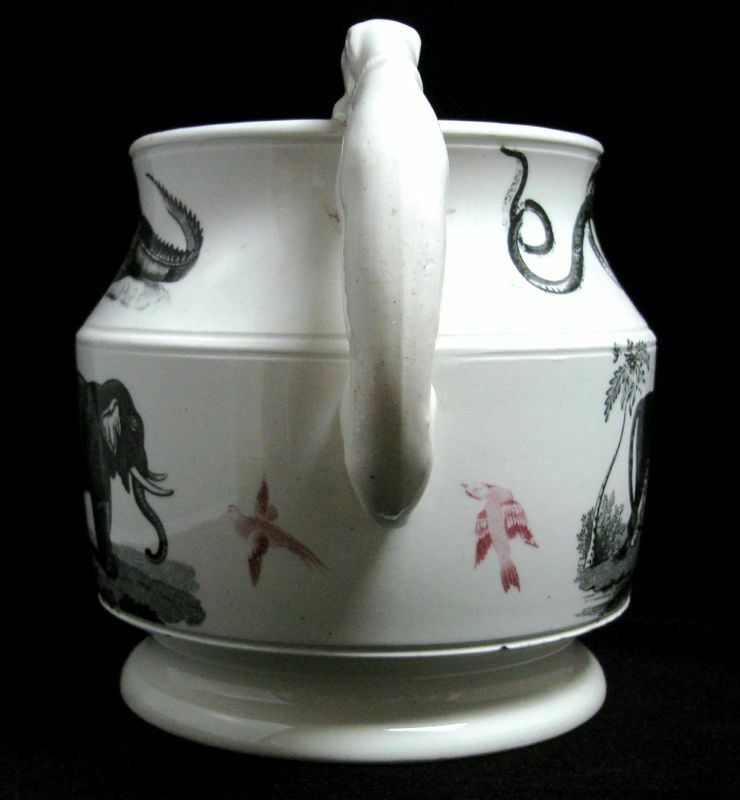 I learned this information because I purchased a charming jug covered with animal patterns titled "Menageries." 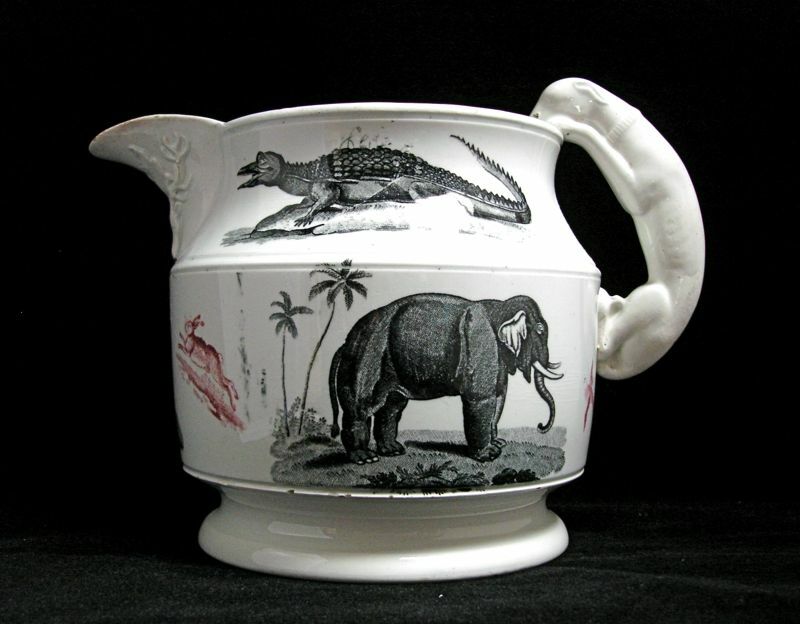 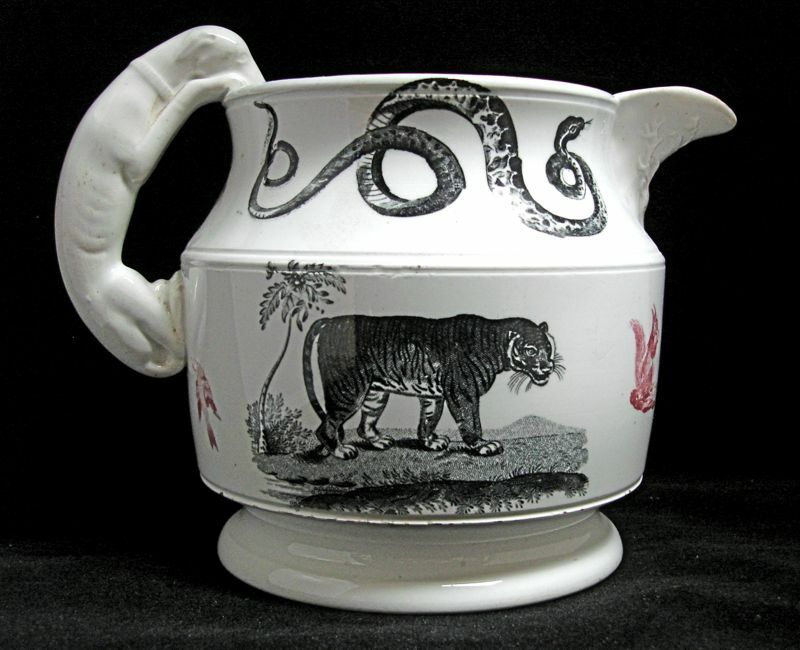 As the editor of the Animals category for the Transferware Collectors Club Pattern and Source Print Database, I quickly went to my book shelf to find the source prints for the animals on my jug. 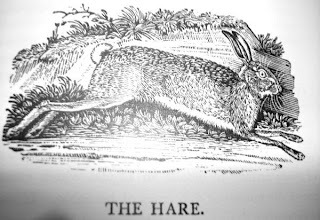 I found the tiger, the elephant, the hare and the squirrel in my copy of Thomas Bewick's "A General History of Quadrupeds," which was published in 1790. 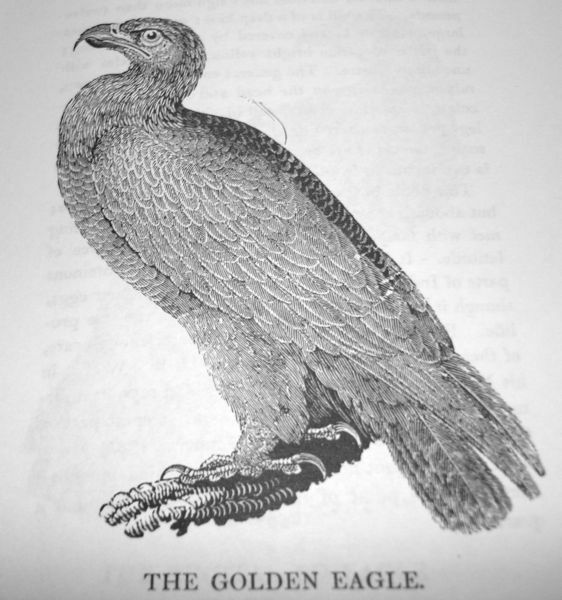 The eagle was in Bewick's "A History of British Birds, Vol. 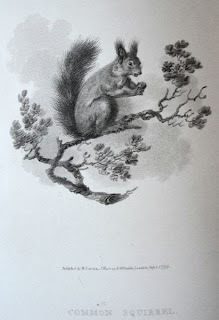 I," 1797. 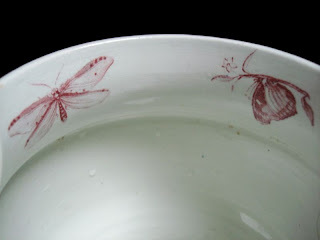 Sadly, the source prints for the snake, the alligator (maybe it's a crocodile), and the insects eluded my search.